Financial Ignorance, Financial Literacy. Wait, what? It's a well-known fact that financial ignorance is very common amongst my countrymen - the Filipinos. Compared to other people in other countries, finance matters serve as an off-topic and we usually correlate it to some sort of networking pyramid schemes so we tend to avoid it for good. This should not be the case. Finance literacy should be one of the main things that our brain must be fully equipped with. Looking a little bit backward, it seems on of the main reasons why we think this way, is because of the environment type we had when we were still children developing our minds. Filipino parents usually tell their children to study hard in order to have a good job someday when we grow up. I might be wrong but I have heard this from a lot of friends and even to my own parents as well. This is our culture and this is the truth. Even teachers and professionals agree with this. I have no intention to sound like questioning our parents and their parents. What they did is good but it would have been better if they also added the financial aspect. You know, exposing our young and developing minds to engaging ourselves into management and creation of any sort of business when we grow up will surely add a big difference rather than just planting this phrase to our brains “study hard to get a good work when we grow up”. Even our schools do not implement clear class subjects about this except for those who took Business Administration courses (which are just few by the way). Welcome to a brighter life! We cannot change what has been done. We cannot go back to our childhood days and demand for financial trainings or things similar to that, but we can move on forward and take trainings on our own. We are the in-charge of our own lives after all especially now that we are grown ups. 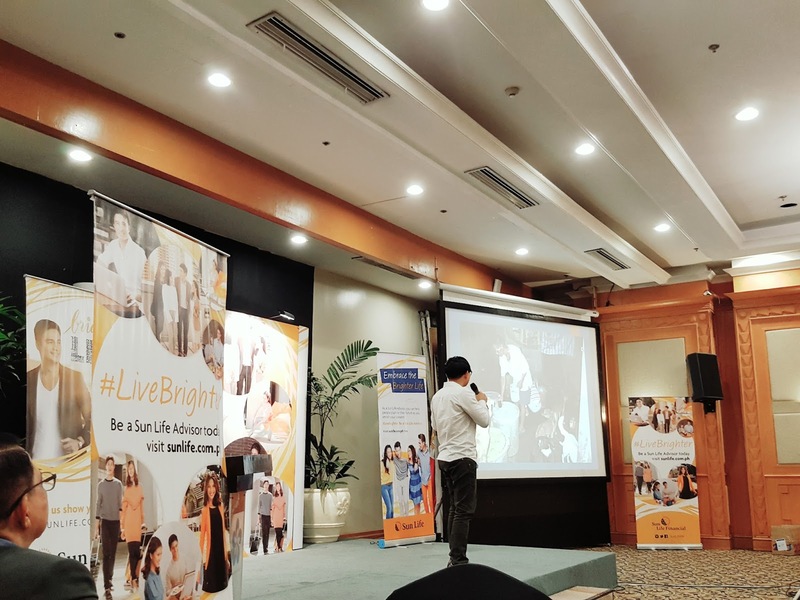 I was invited last last October 18, 2017 to a #LiveBrighter forum organized by Sun Life Philippines in Parklane International Hotel, Cebu City. The forum was a great portal for learning how a career in Sun Life as an advisor makes a difference. It was also a decent opportunity for me to listen various discussions from successful financial advisors as well as their success stories in the financial road. I was really moved since that time and until now. 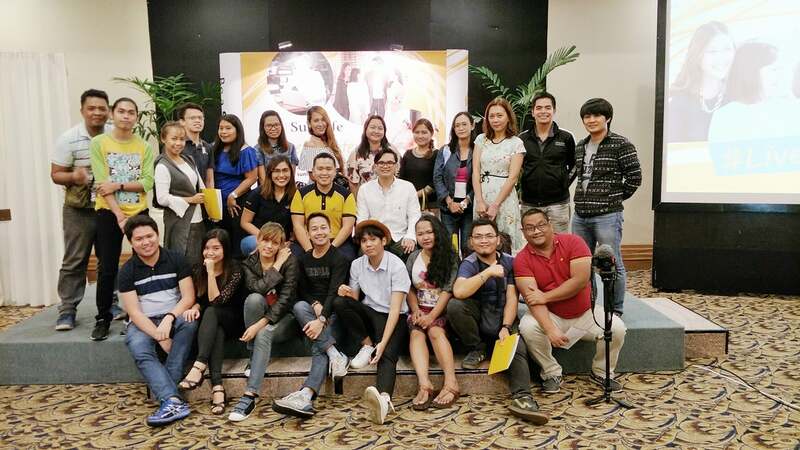 Blogger friends with the Sun Life Financial Advisors. Sunlife is giving Cebuanos an opportunity to become a Sun Life advisor and help fight financial ignorance once for all, ganern! A high performing Sun Life advisor will be well-compensated and are granted opportunities to see the world. The company has been the number one and longest-standing life insurance company in the country. It has survived the World War II. The company has been operating in the Philippines since 1895. Live a Brighter Life now. Wink, wink. 1. Balance your time work and passion. 2. Get in the business of helping people. 3. Fulfill your dreams and look forward to a brighter future. 4. 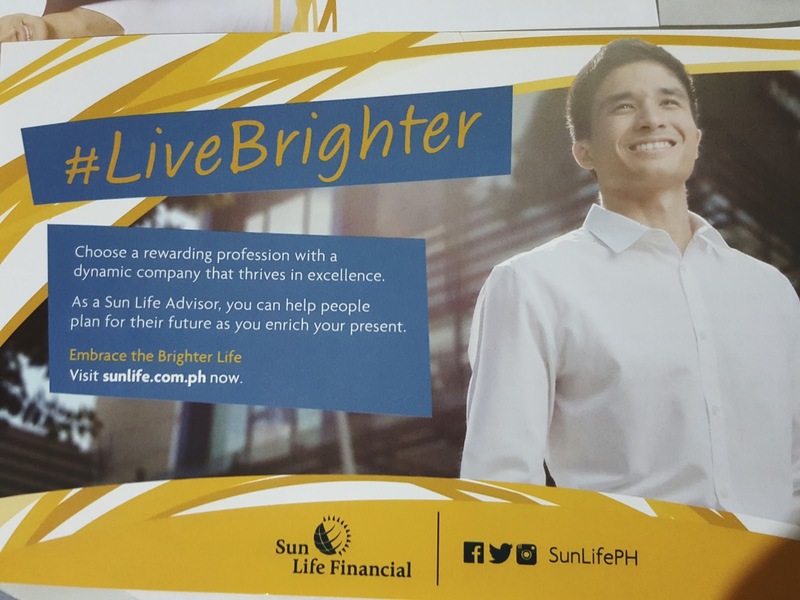 Be a Sun Life advisor. 1. Rewarding in compensation and generous in time. Earning potential is limitless. Enjoy time flexibility. 2. See the world. How about trips to the word as a reward for a job well done? Yes! 3. Noble and fulfilling profession. Make a positive difference in the lives of others by helping them fulfill their financial goals. 4. 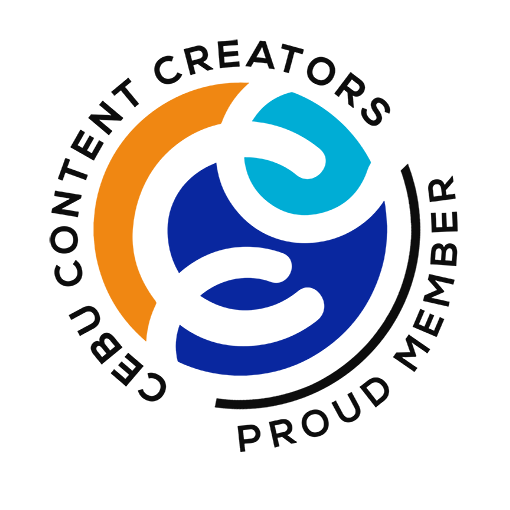 Professional agency with a bright legacy. Good company, good people. Sun Life is the longest-standing life insurance company in the Philippines. "Embrace the Brighter Life. Be a Sun Life Advisor. Get an insurance that’s best for you." Visit sunlife.com.ph to know more valuable information.